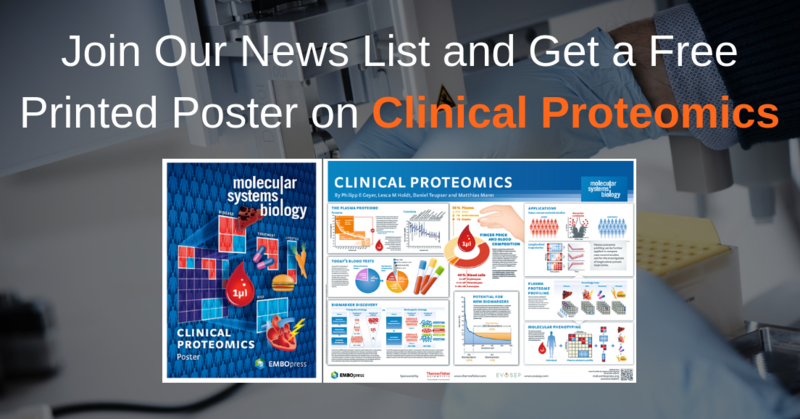 While supplies last we offer all new subscribers of our newsletter a good old fashioned printed poster on Clinical Proteomics published by Molecular Systems Biology. Fill out the form to subscribe and we will ship your poster right away. 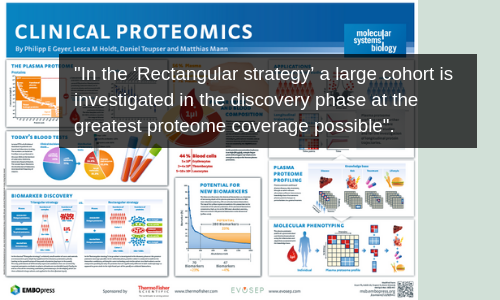 This poster illustrates key aspects discussed in a Review published in Molecular Systems Biology by Matthias Mann and colleagues (Geyer et al, 2017) and provides an overview of the use of MS-based proteomics for clinical applications. The poster highlights that MS-based approaches are not only promising for discovering new biomarkers and biomarker panels, but also offers new opportunities for developing diagnostic strategies based on a combination of plasma proteome profiles with clinical data and information on the patient’s history.